?Allo there, guvnors! Pinurabi here, writin? 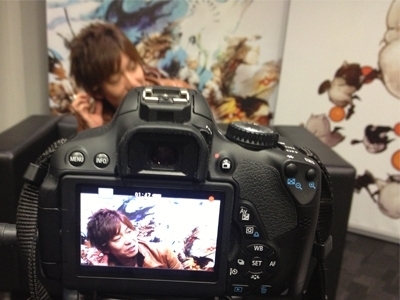 to freshen the drink what?s the latest from the FFXIV: ARR media tour. ...Okay, that was pretty bad. Terrible characterization and metaphor aside, our contingent has arrived safely in London, where Square Enix Europe is located. 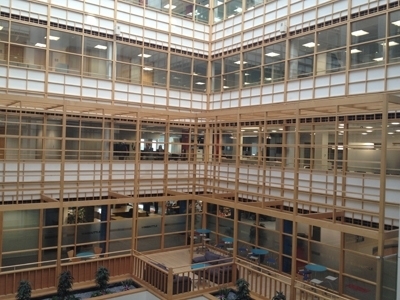 Check out this sweet enclosed courtyard inside the office building! Taking a quick walk around the office, I stumbled into some familiar faces. Asked what she?s most looking forward to in ARR, Lara here gave a knowing wink and said simply: ?Raids.? The format of UK event is the same as it was the US: Yoshi-P gives a presentation to our media attendees, after which there?s some hands-on time. Next come the interview sessions. It's an intense schedule?the information flows freely, and so does the coffee. Though the event is being held in the UK, our media guests hail from other parts of Europe as well, France and Germany to name a few. We appreciate you making the trip, everyone! Lastly, you?ll recall the swanky USB cards we had in San Francisco. For London we have leather-bound USB sticks that ooze class. Can?t stop...playing with...magnetic cover...! ...Nope, these aren?t for sale either! magnetic cover on usb stick,, hmmm, isnt there a chance that the data will be deleted due to the magnetic force, or that force is so small that it wont have any effect on the memorycells ? I don't think magnets can affect flash memory, you really only have to worry about hard disks. At any rate the magnet on that thing wouldn't be anywhere near strong enough to affect either I think. 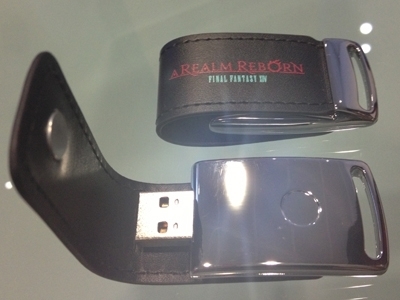 I can see these USB items being prizes or giveaways for us in the future.